Learning from the experts: How do you frighten the life out of teenagers? Here is a recipe: you take the demon child from ‘The Exorcist’, the scary corridor shots from ‘The Shining’ and a number of killer psychopaths from ‘Scream’, you mix them all together and, hey presto, you have got ‘Hotel 626’! Why would you want to scare teenagers senseless? Why, to sell stuff of course! 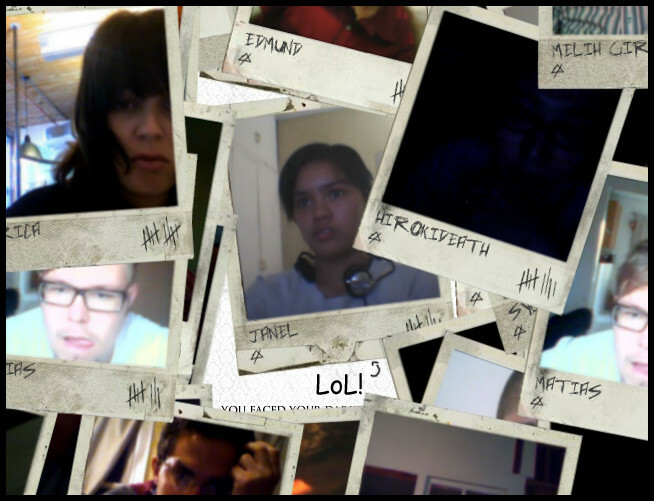 Amazingly, ‘Hotel 626’ – an interactive video game – was designed for promotional purposes! But it is nothing like the infomercials we watch on TV. While the ingredients are familiar, the cooking method employed and the spices used simply blew my mind away! No wonder it won the most prestigious marketing award, the Cyber Lion, in 2009. As I mostly teach teenagers I can just imagine them glued to the screen, hearts pounding, totally absorbed – totally focused and I ask myself: ‘Can we not design equally effective materials?’ To get an idea of what the game is like, just watch the short clip below. Applications in the field of ELT: This game proved to be hugely addictive with teenagers. As Tom Chatfield says, the power of video games to motivate and transfix players is awesome 1 (TED talk – 0:30). So, what can we learn from this? What are the key elements that we can perhaps transfer to our teaching? Interactivity: By ‘interactivity’ I do not simply mean that the subject does something but that the action changes as a result of what they do. Having control over what happens is a huge motivator (Gilbert 2006 – p. 21). In RPGs like Hotel 626 it’s the player who decides what happens next. Alas, most of what happens in class is far from interactive. Even if the students do things, it is usually the coursebook or the teacher who decides how things will unfold. A notable exception is the ‘Survivor’ game which I came across in a resource book (Anderson 2004 – p. 54). Students have to survive on a desert island and they have to take decisions at different stages. Depending on what they decide they move to different locations where they are confronted with a new problem. 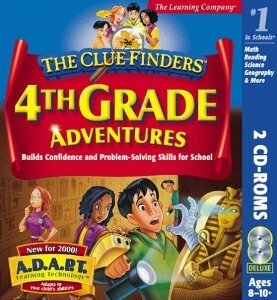 It is essentially very similar to a ‘Cluefinders’ adventure only it does not employ technology. Despite that it has proved enormously popular with my students. The social element: According to Lieberman (2013) the number one priority for humans is to establish and maintain strong bonds with their social group. This is even more so with teenagers. Given this fact, it is amazing that in the field of Education the ‘social’ element is often considered to be the enemy of learning (Lieberman – RSA talk [18:05] – click here). Advertisers and game designers are of course miles ahead. In WoW for instance, people get to go on missions with their friends (Gottschall 2012 – Chapter 9) while in the hugely successful ‘Farmville’, you have to water your crops at regular intervals, or they will die. How can you do that when for whatever reason you are busy? Why, you rely on your friends of course. You text them and ask them to water them for you! (McRaney 2013 – p. 225). Notice how cleverly this is done in ‘Hotel 626’ – remember how you can save yourself from that maniac? (See also Chatfield’s TED talk – 12:25). Personalisation: The other noteworthy element about ‘Hotel 626’ is how it has been made to feel real by incorporating elements from your everyday life. Notice little details like the pictures of yourself you see in the maniac’s lair, the appearance of your Facebook friends in the game and the brilliant touch of the phonecall you get on your actual mobile phone! As Fine (2005) points out, we cannot help ourselves; as human beings we are the centre of our universe and everything that has to do with ourselves is far more likely to motivate us than most elements which simply have to do with the outside reality or other people. It follows then that any learning activity which involves personalization, whether it is relating adjectives of personality to our relatives and friends or giving a talk about our actual hobbies or making a Brainshark slide presentation with the pictures of our last holiday is likely to increase motivation. Arousal: A final noteworthy point is that of arousal. Notice how in the game the player is always in a state of high alertness. Make no mistake – this is one of the main reasons behind the attraction of games like WoW or even blitz chess! There are two reasons why one might consider using high-arousal activities in class. The first one is that high arousal often means you remember things better (see below!). So, activities like wall-dictation for instance, where students have to run back and forth, or high-intensity time-pressure competitive games like ‘Just a Minute’ can pay great dividends in terms of information retention. But there is another reason as well; high arousal activities (e.g. riding a roller-coaster) involve the secretion of chemicals that make us feel good. Incredibly, this has a spill-over effect (Saloway, Yale Courses, Lecture 9) 4. To put it simply, your students may come to like English lessons, partly because they feel good after such an activity! 1 Tom Chatfield’s short TED talk offers very interesting lessons for Educators – and the lessons do not just have to do with video games. Notice how ‘Hotel 626’ makes use of points 4 (Instant Feedback), 5 (Uncertainty) and 7 (Other People). To watch the talk, just click here. 3 To get an idea of what the tasks look like, just click here. You can see a number of tasks at 15:31, 18:30, 1:04:30, 1:14:55 etc. 4 For the phenomenon of misattribution, see Salovery P., Yale Courses: Introduction to Psychology (PSYC 110). Lecture 9 – 43:55. To watch the talk, just click here. Chatfield, T. “7 Ways Video Games Engage the Brain” TED Talk, YouTube 2010.